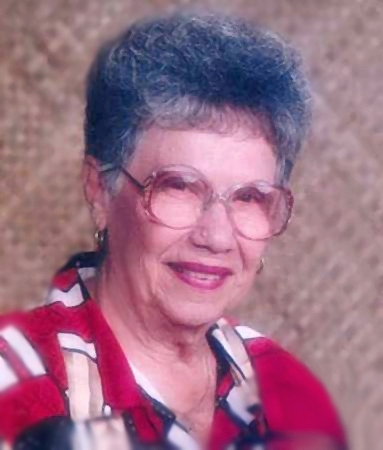 Betty L. Medeiros, 90 originally from Kaneohe passed away on September 29, 2018. She was born in Honolulu on October 16, 1927. She and her husband George I. Medeiros were married for 64 years. She loved traveling to Las Vegas and playing BINGO at Ft. Shafter, Pearl Harbor and Schofield. She was preceded in death by her husband George I. Medeiros, parents Alfred and Julia (Nascimento) Cadinha, Sr., her sister Blanche Garcia, her brother Robert "Bob" Cadinha and a great- great-grandson Daryl "Kamakani" Correa III. Surviving is her daughter, Shirl Roach, 4 beloved brothers Alfred "Sonny" Cadinha Jr., Stanley, Howard (Arlene) and Emmett (Mildred) Cadinha, 3 special grandchildren, Roglyn (Daryl) Correa, Roger "R.J." (Melissa) Roach, Jr., Renee (Donnie Thompson) Roach, 11 precious great-grand- children, Daryl (Cherie-Lee) Correa, Jr., Daina Correa, Dustin Bassette, Brittany Kirn (step), Daisha (Evan) Sherls, Drake Roach, Alexza Roach, Bryan Kirn (step), Deshay Bassette, Denzyl Bassette, Dylan Roach and 10 precious great- great-grandchildren, Dominick Correa, Donavan Correa, Naejah Bassette, Dysen Correa, Ethan Sherls, Darius Correa, Aaliyah Mendez, Malia-Renee Bassette, Delilah Sherls, Aubree Bassette; and lots of nieces and nephews. Her family will be having a Memorial-Celebration of Life Service in memory of their Sister and Grandma (aka Nani) on Saturday, November 10, 2018 at St. Anthony of Padua Church, 148 Makawao St. Kailua, HI. Visitation will begin at 9:30am, Eulogy at 9:45am and mass at 10:00am.